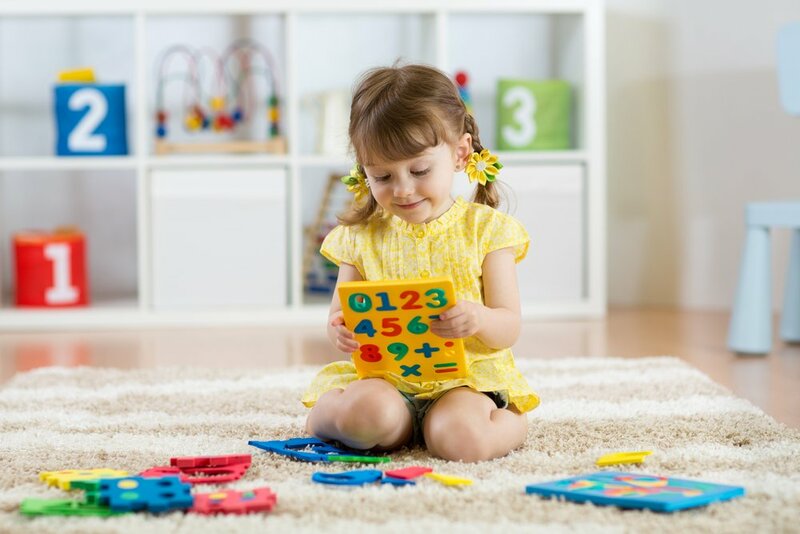 An important aspect of your kid’s cognitive development between the age of 3 and 4 is the development of different aspects of her reasoning skills, like her ability to apply math concepts in different areas of her life. This is called numeracy, also known as math skills. Before reaching the 48-month mark, many children know three or four numbers and have a pretty good understanding of counting. That might allow them to answer simple questions like “how many cookies are there?”. According to the Raising Children Network, kids start learning the bases for what will later be their math skills from the day they arrive into the world, both by watching and by playing. Integrate counting into your daily life. You can play games of counting things when commuting, notice and count trees when walking, or count other kids when you’re at the playground. Use things your child loves to encourage her to count and be interested in what you are doing. For example, ask her how many dolls she is playing with, how many insects there are when you see some, how many hugs and kisses should you give her after saying goodnight, etc. Help your kid arrange some of her toys by color or by size. If you want to check-out more ideas on how to boost your little girl’s early math skills, you can check out the Kinedu catalog and search under “Concept learning”.